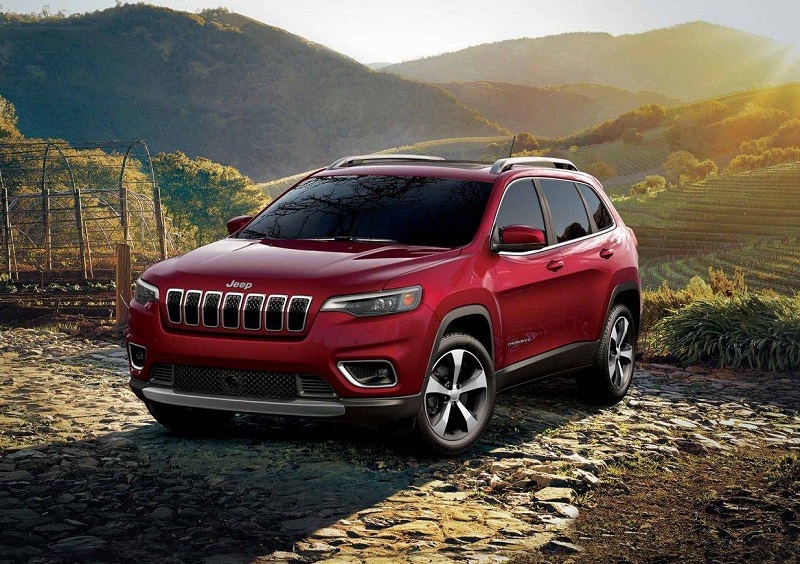 The Jeep Cherokee has had a long history in the auto industry as an SUV that can tackle different types of terrain with ease and is available at dealerships serving Denver Boulder Longmont Thornton. 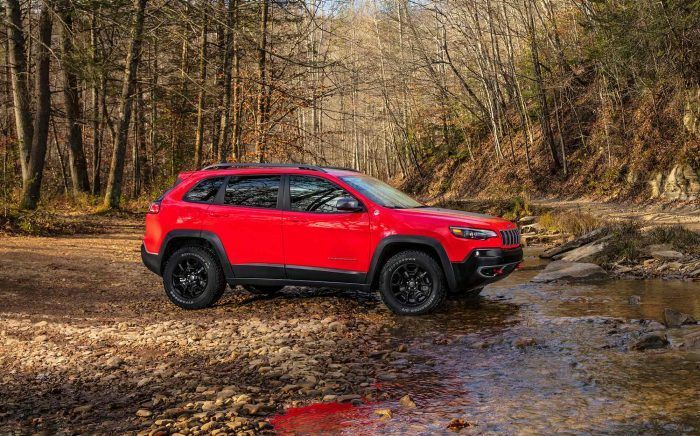 The 2019 Jeep Cherokee is not only stylish but boasts a long list of powertrain options for those who want to have fun with a high level of performance that is provided. The 2018 Jeep Cherokee can be test driven at a Denver Area Jeep dealership and has less engine power compared to the new model. The car is one of the safest SUVs its class due to its high scores on crash tests and the number of safety features that are included. Those who drive the vehicle enjoy the comfortable upscale and comfortable cabin, along with its infotainment system that is user-friendly and more advanced. It also performs well when off-roading and still rides smooth because it’s equipped with an excellent suspension system. The new Jeep Cherokee has undergone a noticeable facelift that allows it to look modern and dramatic. The model features standard LED headlamps with a grille that features seven slots and works as the centerpiece on the front of the car. The front bumpers are also an improvement because they look more aggressive and blunt than the previous generation. The exterior of the former Cherokee features sharp headlights and a similar grille that is found on the new model. The roof racks show off the athletic side of the car and improve its functionality when transporting luggage or sporting equipment. Large air intakes and fog lights also add athletic touches that are convenient to utilize while the vehicle is operating. The rear is minimal but modern with a large spoiler and wide tail lights present. Dual chrome exhausts are added under the bumper, and black trim is featured on the side door panels. A power liftgate is also offered for added convenience when loading up the cargo area. The interior of the latest Jeep Cherokee is noticeably more spacious, which includes extra cargo space for luggage and sporting goods that are transported. 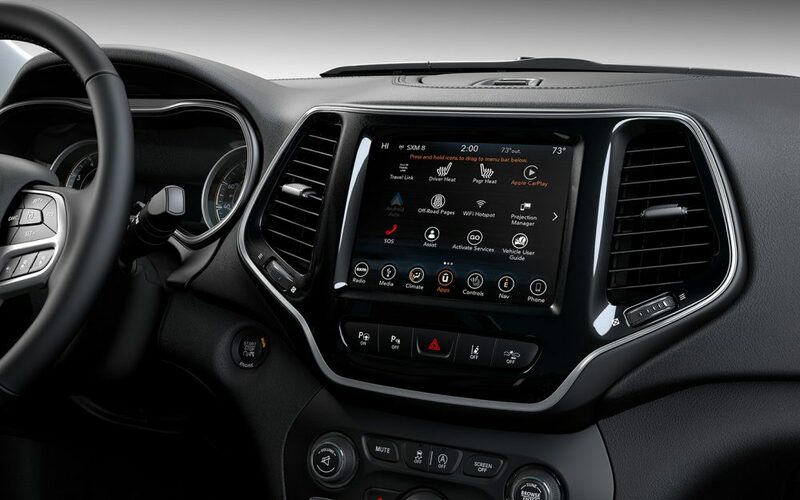 The SUV comes equipped with an updated Uconnect infotainment system that features sophisticated graphics. There’s a high level of comfort with a six-way manually adjustable driver’s seat, a six-speaker audio system, a USB port, an auxiliary jack, including a six-speaker audio system. Cloth upholstery comes standard, and upper trims include a leather-wrapped steering wheel, additional USB ports, satellite radio, a keyless ignition, and cruise control. The Overland also features heated and cooled front seats, perforated Nappa leather seats, navigation, a nine-speaker Alpine audio system, and five years of real-time traffic. The 2018 Cherokee is available at dealerships serving Denver Boulder Longmont Thornton can seat five people have plenty of cushion. They also slide and recline in each row for added comfort and customization. There’s less cargo space that is available, but it can increase when the back seats slide forward or split 60/40. Heated and ventilated front seats are standard, along with a heated steering wheel, a fold-flat front passenger seat, and a leather-wrapped steering wheel. Interior features include a USB port, a customizable menu bar, a Wi-Fi hotspot, a six-speaker audio system, and a 5-inch touchscreen, which is smaller than what comes standard in the new model. Available features include a wireless charging pad, push-button start, a proximity key, air conditioning, a dual-pane panoramic sunroof, navigation, and a nine-speaker Alpine premium audio system. When driving the 2019 Jeep Cherokee, consumers can enjoy a smooth ride due to new dampers, anti-roll bars, and bushings that are added. The brake pedal is also progressive and is paired with a lighter-weight electrically assisted steering hardware. Front-wheel-drive comes standard with a 270-hp 2.0-liter turbo-four engine included in the base model. The vehicle is 200 pounds lighter, which allows it to be quicker on its feel and more economical. It gets 22 mpg in the city and 31 mpg on the highway and proves to be easy to operate when scheduling a test drive at a Denver Area Jeep dealership. Plenty of active safety features are included in the new Cherokee with a rearview camera, trailer sway control, blind-spot monitoring, rear cross-path detection, hill-start assist, and eight airbags. Optional safety features include adaptive cruise control, rain-sensing wipers, automatic emergency braking, lane-departure warning, and automatic parallel and perpendicular parking. The 2018 Cherokee boasts excellent crash tests and has safety features that include Traction Control, Brake Assist, 4-Wheel ABS, Daytime Running Lights, and Electronic Stability Control. Drivers can also utilize the rearview camera and parking sensors that come standard. Fewer active safety features are offered on the previous generation compared to the new model. 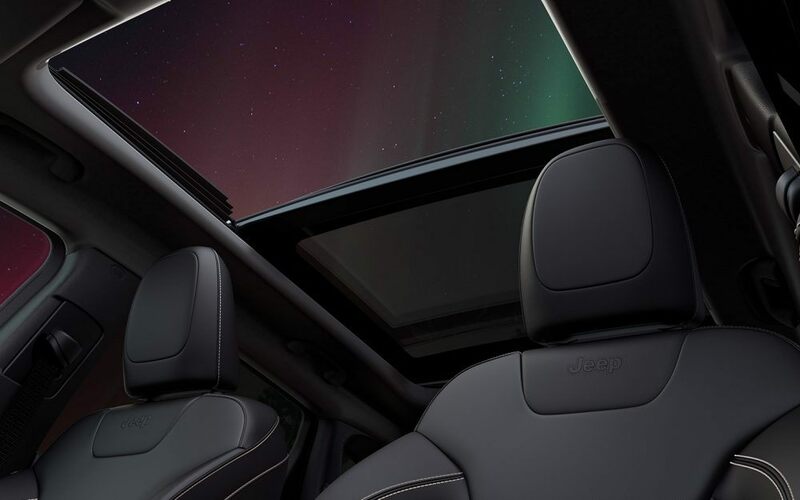 You’ll want to see the new 2019 Jeep Cherokee up close and contact our dealership for a test drive as we continue serving Denver Boulder Longmont Thornton. You can obtain more information about the new model and specials that are currently available at our Denver area Jeep dealership.